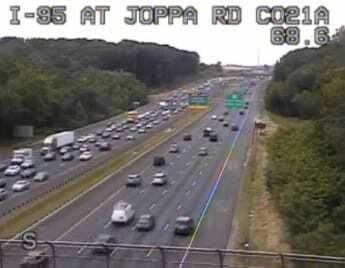 A Saturday morning crash in Joppa has snarled traffic along Interstate 95. At just before noon, a crash was reported along northbound I-95. All northbound lanes were temporarily closed, but one lane has since reopened. Injuries were reported in the crash. The Joppa-Magnolia Volunteer Fire Company has units on the scene. The Maryland Transportation Authority says there is now a 4-mile backup along northbound I-95.